The platform has 188 million daily active users in all, as of Q2 2018. In other words, you could be missing out on reaching a key demographic by ignoring the opportunities Snapchat offers for marketers. For businesses, Snapchat is probably best known for its geofilters (check out this post on how to make your own geofilter), but that’s not all you can take advantage of on the popular app. If you’ve been spending time searching through social media marketing blogs to find out how to tap into the Snapchat audience, we’re here to make that task a little less time-consuming. Read on to learn what our experts had to say about the Snapchat for Business opportunities you could be missing out on. 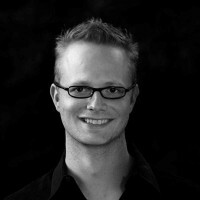 Cristian Rennella is the VP of Marketing & CoFounder of MejorTrato.com.mx. “After 2 years of work on Snapchat, I can assure you that the greatest overlooked opportunity for business is to ask your followers to send you their photos or videos interacting with your brand or using your products. 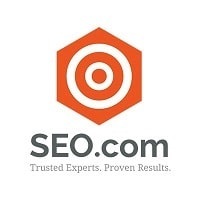 “For this, I recommend that you make contests or promotions to incentivize your users. For example, the winners of the challenge will win an Amazon gift card of $100. That way, you can do a different challenge per week for 3 months. Then you can repost this content in your Snapchat story and even invest in advertising to expand your reach. 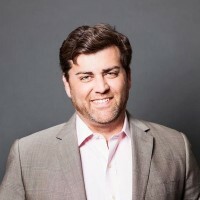 Brian Carter is a bestselling author and digital agency CEO with both F500 and small business clients who delivers motivational, hilarious keynotes with practical takeaways based on his agency’s 15 years driving awareness, leads and sales for clients. He has over 250,000 online fans and reaches over 3 million people per year. “Most people, even many marketers, think of Snapchat only as a place teenagers avoid their parents, gossip, and do other inappropriate things – but Snapchat may now represent a powerful, overlooked business opportunity. “Before I get to that, I have one disclaimer: unless your target market is teenagers, the data we’ve looked at, including 2018 data from Pew Research, implies that Snapchat may not even be most businesses’ 3rd best social marketing option. Facebook ads and Instagram are more effective, and Twitter or LinkedIn might be ideal for certain target customers. Before trying this Snapchat strategy, make sure you’ve got your bases covered with the networks that have proven most effective for the majority businesses and most target customer demographics. “That said, this is a great time to start experimenting with Snap Ads, if you have not yet done so. Snapchat opened their ad platform to the mainstream business world, so now you can drive website traffic, app installs, leads and more. And, you aren’t limited to those super-short Snapchat videos. You can even upload long-form videos up to 1GB in size. 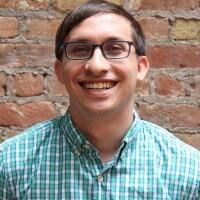 Jacob Dayan is the CEO and Co-founder of Community Tax, a finance and accounting company based in Chicago. “A great way to get your business out there is to create a sponsored geofilter or face lens. Snapchat makes it easy to create geofilters, allowing you to specify the design, the location (or geofence), and how long it will be visible. This is a great way to notify users of your physical location if you have a brick and mortar store. Face lenses differ slightly from geofilters in that they apply an effect to the user’s face rather than just displaying a design/text on the top and/or bottom of the screen. In both cases, you are creating brand awareness simply by getting your brand name in front of users in a fun and playful way. 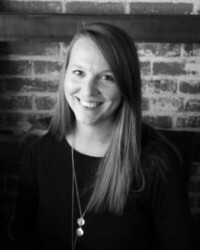 Jenny Hester is the Director of Marketing at LIVE Design Group, overseeing communication and marketing efforts on a local and national level. “With today’s marketing efforts focused on-line (web & social) targeting & reaching clients specifically in need of your product or service is easier than ever. “Conferences and trade shows are excellent opportunities for networking and creating brand awareness. But what should you do when your schedule (or budget) doesn’t allow you to attend that great conference with your target audience? Create a Snapchat geofilter. “Snapchat is an excellent way to reach clients and create a presence at an event, whether you are physically there or not. Snapchat allows you to create or upload a custom geofilter to be offered to all Snapchat users within a designated area, during a specific period of time. “Take time to create a great filter people will actually choose. People love a unique, funky filter that tells people where they are and what they are doing. Simply adding your logo to a free filter won’t get much engagement. But, creating a unique, enticing filter is a sure fire way to increase use. Don’t include web addresses, phone numbers or hashtags – Snapchat forbids these practices & will reject your filter. Starting out, you may want to use a filter template. For customization, create your own. Be sure to save as .png with a transparent background. “For design & lettering, use colors & fonts that compliment your logo. You want your logo to blend in enough that people use the filter, but still see you created it. Include the event name, city & date on the filter. This is why people use filters – to let others know they were there. “Create a calendar. In addition to conferences & trade shows, capitalize on large events likely to be frequented by your target audience – concerts, games, festivals, sporting events, etc. Create campaigns for each event. Ask yourself, who am I trying to reach & what are they attending that they would likely use Snapchat? 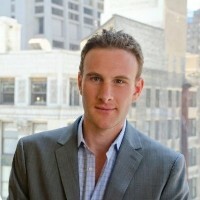 Flynn Zaiger is the CEO of Online Optimism, a digital marketing agency in New Orleans. Michael Moran is a Serial Entrepreneur focused on great products, service and building an amazing team to take over the beauty industry. “Having the Snap Pixel integration is a key opportunity business should be taking advantage of. Currently, advertising on Snapchat is very inexpensive while advertising costs on Facebook have increased greatly over the past few years. “The Snap Pixel allows you to re-target your current website visitors, build look-a-like audiences based on your visitors or your email list, and target specific locations with key demographics. Max Robinson is the owner of FishTankBank, an ecommerce fish tank company. “Advertising on Snapchat is not a new concept, and many companies have really managed to make a huge impact on the platform with their advertising. “A business account, if applicable to your company, depicting either branded content or storytelling is a very unique and trending way to share and help engage your brand with the world. If you have upcoming news then the ‘swipe up’ function (allowing the user to read more on a particular subject) helps to build a deeper content to your message, if an image or 10 second video is not able to get over all of the information you need to relay. “Stories within your business account will be time consuming, because for this to be successful you need to be posting at minimum weekly, but can be very easy to put together. Content filmed on your phone, depicting the life of the office, or interviews with those updating your current events and brand information can be very cost effective to put together if need be. “Don’t be put off by the fact that your account may be lost within the millions of other accounts available. The Snapchat Discover channel now selects accounts to show up on the accounts of users who are following or viewing similar content to yours. You can reach this audience by using clever tagging related to your content in the Snapchat CMS when uploading content. “Working with Snapchat to help your analytics: Once you create a business account the Snapchat Content Management System helps to quickly relay an incredible amount of precise data so you can track the interests of your social media audience and help you better prepare content that will engage them. You will be able to see what within your posts works and what doesn’t, by comparing stats such as number of screenshots and amount of time spent on each bit of content. This will greatly improve not only your social media content, but branded content in general. 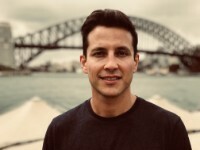 Jared Beckstead is a marketing professional that has worked for logistics companies as well as digital marketing agencies. His experience also extends to sports marketing through companies with partnerships to teams such as the Denver Broncos and Utah Jazz. Terence is Principal of NewLead, a digital business strategy and services firm. He has over 20 years of experience leading product development, technology services implementation and innovation efforts. 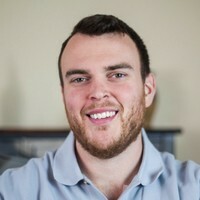 Evan Roberts is a real estate agent and the owner of Dependable Homebuyers, a real estate team in Baltimore, Maryland. 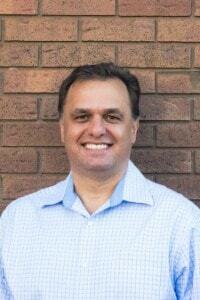 Dr. Anatolij Koniouchine is the founder of Rockcliffe Dental and Denture Centre. 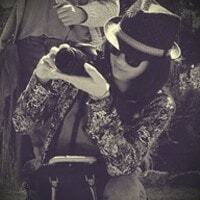 Kim Smith is a Content Marketer with GoodFirms, a B2B Research and Review Platform. 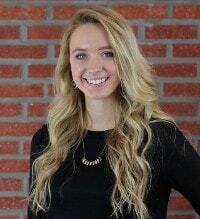 Victoria Thompson is an Account Executive at Haystack Digital. “Snapchat is a viable marketing channel and even though a lot of people have their concerns about the app’s future, it’s safe to say that the social media channel isn’t going anywhere anytime soon. Back in 2017 Snapchat hit 187 million daily users and it has seen a 18% growth rate compared to this time last year. “What does this all mean? This means you have another marketing channel to engage with your users. The benefits of using Snapchat as a business is that followers can feel a closer connection to your company with it being more of a less-formal environment which you can earn your audiences trust. “Promoting a new product on Snapchat is just another way to market your company, keeping followers up to date with any exciting news about a product launch or a new client is always worth mentioning. “Your Snapchat strategy should be focused on uploading content to your story daily and if your followers reply to your story or you receive a direct message, you should always try to reply. 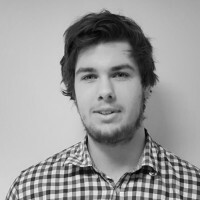 Jordan Harling is a Digital Strategist at Wooden Blinds Direct. 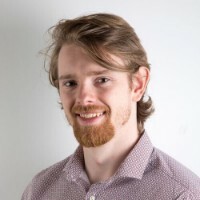 He has been a professional marketer since 2011, working across a number of sectors including charity, digital and ecommerce. “The concept of Snapchat scares many marketers. After all, why would you want to put effort into something that will last for only a short period? But realistically the only difference between disappearing content (on platforms such as Snapchat) and traditional content is the time it takes to disappear. Just think about how long your usually marketing materials last – one campaign, maybe two. 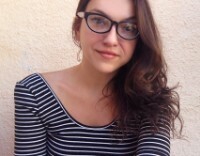 A self-admitted social media junkie, Alexa Kurtz has been captured by online communication for the past several years. 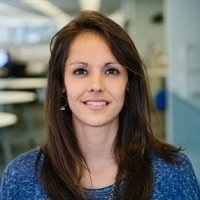 Her current role at WebTek includes specializing in SEO, social media advertising and engagement, and PPC. “Customers who are emotionally-connected to companies are less price-sensitive, and more likely to buy – it’s statically proven! But for most digitally-based companies, creating that genuine sense of customer relation can feel like the hardest part of their entire marketing strategy. 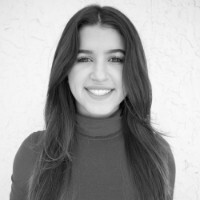 Larimar Ventura is a Social Media Strategist at Tandem Interactive in Fort Lauderdale, Fl. 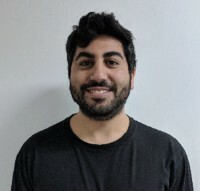 Taylor is a Content Writer at Codal, authoring blog posts anywhere from UX design to other facets of the vast World Wide Web. 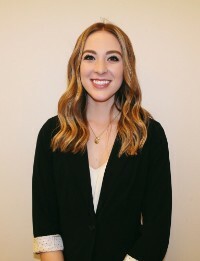 When she’s not immersed in the world of development and design services, Taylor spends her time: reading classic American literature, binge-watching a Netflix series, or ordering an excessively large iced coffee from her local Starbucks. “An overlooked marketing opportunity that brands often miss is the ability to send targeted snaps to your followers. For example, Taco Bell uses this option very effectively. When they recently introduced a new burrito, they prompted users to add them as a friend on Snapchat in order to get a sneak peek of the new product. This is a savvy marketing move because now those users will see all of Taco Bell’s stories. “These targeted snaps are delivered right to a user’s direct snaps (unlike general stories) and provide a more personalized marketing opportunity. Businesses can use targeted snaps to engage their audiences and grow their friend’s lists. 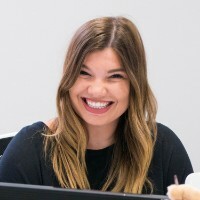 Kristen is the Content Marketing Manager for ThriveHive, where she geeks out daily over SEO, organic traffic, and A/B testing. When she’s not equipping business owners and marketers to get their name out there through effective content, she’s out pedaling the streets of Boston on her beloved bike. Note: The quote below is excerpted from The Benefits of Marketing Through Snapchat via ThriveHive. If you’re gearing up to take your Snapchat game to the next level, don’t forget to install a Snapchat follow button. It’s mobile-optimized, lightweight, and easy to install – just two simple steps – so you can be on your way to growing your Snapchat audience in minutes.